Oral myiasis is a rare condition characterized by infestation of tissues and organs of animals and humans with the larvae of Dipteran flies. Oral myiasis has been previously ascribed to poor oral hygiene, alcoholism, senility, supparative lesion, neoplasia and in patients with neuro-psychiatric defecits. The aim of the present paper is to report a case of oral myiasis involving the anterior palate in a schizophrenic patient and to discuss the importance of its diagnosis and management in clinical oral practice. Medical personnel taking care of old or debilitated patients, especially those with neurologic deficit need to bear in mind the possibility of infestation with Dipteran flies' larvae to be able to make a prompt diagnosis and implement relevant intervention to prevent extensive tissue destruction. A 62-year-old Indian male patient awaiting near-total thyroidectomy with radical neck dissection for papillary carcinoma of the thyroid, presented with two-day history of growth in the anterior palate and fetid odor. Patient was under treatment for schizophrenia (Tab. Trinicalm forte - benzhexol 2 mg, chlorpromazine 50 mg, trifluoperazine hydrochloride 5 mg) for 30 years and history of attempted suicide was reported wherein patient had taken overwhelming dose of antidepressants and his mouth had remained open for a considerably long period of time. Examination revealed a necrotic growth in the anterior palate with live maggots coming out of it through several orifices [Figure 1]. The growth was covered by pseudo-membranous slough. Missing 21 was noticed and the growth extended through the empty socket to the labial gingival in relation to 21. The patient presented with poor oral hygiene and advanced periodontal disease. Based upon the history and presence of maggots, provisional diagnosis of oral myiasis was made. The larvae were sent to the laboratory and were identified as the fly Musca Nebulo (Phylum: Arthropoda, Subphylum: Mandibulata, Class: Insecta, Subclass: Pterygota, Divison: Endopterygota, Order: Diptera, Genus: Musca, Species: Nebulo) [Figure 2] and [Figure 3]. Computed tomography of the oral cavity ruled out bony involvement [Figure 4]. Hematological and biochemical investigations were within normal limits. Cotton gauze impregnated with turpentine liniment was placed over the lesion for approximately 10 min and about 35-40 maggots were manually removed with the help of tissue-holding forceps. The same procedure was repeated for four more days and oral therapy with a semi-synthetic macrolide antibiotic, ivermectin (6 mg as a single dose) was advised. After the complete larvae removal the wounds were healing normally. Subsequent management of periodontal disease was done. The term myiasis is derived from Latin word 'muia' which means fly and 'iasis' means disease. Myiasis occurs by dipterous larvae developing in decaying tissues. The developmental transition via the larval stage requires moisture, necrotic tissue and suitable temperature in an intermediate host and the number of developing larvae depends on the number of viable eggs deposited. Oral myiasis is a rare pathology in humans. The first case of oral myiasis was reported by Laurence in 1909. Conditions leading to persistent mouth opening along with poor hygiene, suppurative lesions, halitosis and facial trauma may predispose the patient to oral myiasis. Previous reports include oral manifestation among epilepsy patients with lacerated lips following a seizure,  Oral myiasis due to incompetent lips and thumb-sucking habits,  advanced periodontal disease., , it has also been reported at tooth extraction sites,  involving fungating carcinoma of buccal mucosa,  cancrum oris. , neglected mandibular fracture. [12 Reports of oral myiasis in cerebral palsy patient,  patients undergoing mechanical ventilation,  alcoholics and due to ingestion of infested flesh have been reported.. In the present case, oral myiasis of the anterior palate could be attributed to prolonged mouth opening in a schizophrenic patient with predisposing conditions of poor oral hygiene and advanced periodontal disease. The lesions are usually located in the anterior part of the oral cavity affecting the anterior segments of both jaws and the palate suggesting a direct inoculation of the tissues. Rarely, posterior portions of the oral cavity are involved due to ingestion of infected material such as meat. In our patient direct inoculation by common housefly due to prolonged mouth opening resulted in anterior palatal lesion. The treatment consists of manual removal of the larvae by topical application of irritants like turpentine oil, ether, chloroform, olive oil, calomel, iodoform, gentian violet, and phenol mixture. 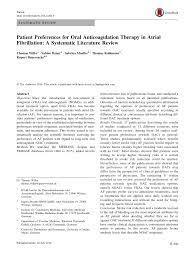 Oral therapy with ivermectin and surgical debridement of the oral wound is curative. Plastic surgery to repair tissue damage may be necessary. Although a foreign body response may occur if parts of the larvae remain in the surgical site, complete tissue recovery without any complications is common. Medical personnel taking care of old or debilitated patients, especially those with neurologic deficit who are dependent on others for maintaining basic hygiene, need to bear in mind the possibility of infestation with Dipteran flies' larvae to be able to make a prompt diagnosis and implement relevant intervention to prevent extensive tissue destruction. Prevention of this condition is of utmost importance and involves fly population control, general cleanliness and public education regarding predisposition to this condition among people living in locations without basic sanitization. It needs to be emphasized that this condition rarely occurs in healthy individuals and neglect of personal hygiene is the single most important factor in human infestation. 1. Gabriel JG, Marinho SA, Verli FD, Krause RG, Yurgel LS, Cherubini K. Extensive myiasis infestation over a squamous cell carcinoma in the face. Case report. Med Oral Patol Oral Cir Bucal 2008;13:E9-11. 2. Sharma J, Mamatha GP, Acharya R. Primary oral myiasis: A case report. Med Oral Patol Oral Cir Bucal 2008;13:E714-6. 3. Shinohara EH, Martini MZ, Oliveira Neto HG, Takahashi A. Oral Myiasis Treated with Ivermectin: Case report. Braz Dent J 2004;15:79-81. 4. Laurence SM. Dipterous larvae infection. BMJ 1909;9:88. 5. Bhoyar SC, Mishra YC. Oral myiasis caused by diptera in epileptic patient. J Indian Dent Assoc 1986;58:535-6. 6. Bhatt AP, Jayakrishnan A. Oral myiasis: A case report. Int J Paediatr Dent 2000;10:67-70. 7. Gunbay S, Bicakci N, Canda T, Canda S. A case of myiasis of the gingiva. J Periodontol 1995;66:892-5. 8. Zeltser R, Lustmann J. Oral Myiasis. Int J Maxillofac Surg 1988;17:288-9. 9. Bozzo L, Lima IA, de Almeida OP, Scully C. Oral myiasis caused by Sarcophagidae in an extraction wound. Oral Surg Oral Med Oral Pathol 1992;74:733-5. 10. Carvalho RW, Santos TS, Antunes AA, Filho JRL, Enjos ED, Catunda RB. Oral and maxillofacial myiasis associated with epidermoid carcinoma: A case report. J Oral Sci 2008;50:103-5. 11. Aguier AM, Enwonwu CO, Pires FR. Noma (Cancrum Oris) associated with oral myiasis in an adult. Oral Dis 2003;9:158-9. 12. 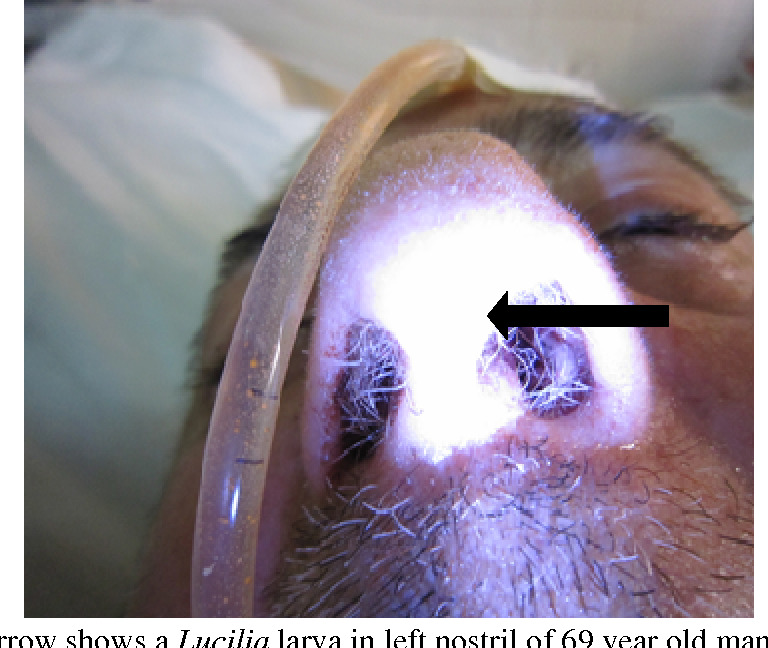 Lata J, Kapila BK, Aggarwal P. Oral Myiasis. A case report. Int J Oral Maxillofac Surg 1996;25:455-6. 13. Yoshitomi A, Sato A, Suda T, Chida K. Nasopharyngeal myiasis during mechanical ventilation. Nihon Kyobu Shikkan Gakkai Zasshi 1997;35:1352-5. 14. Droma EB, Wilamowski A, Schnur H, Yarom N, Scheuer E, Schwartz E. Oral myiasis: A case report and literature review. Oral Surg Oral Med Oral Pathol Oral Radiol Endod 2007;103:92-6.